GOLF With a solid start, the boys set the par for the remainder of their regular season. 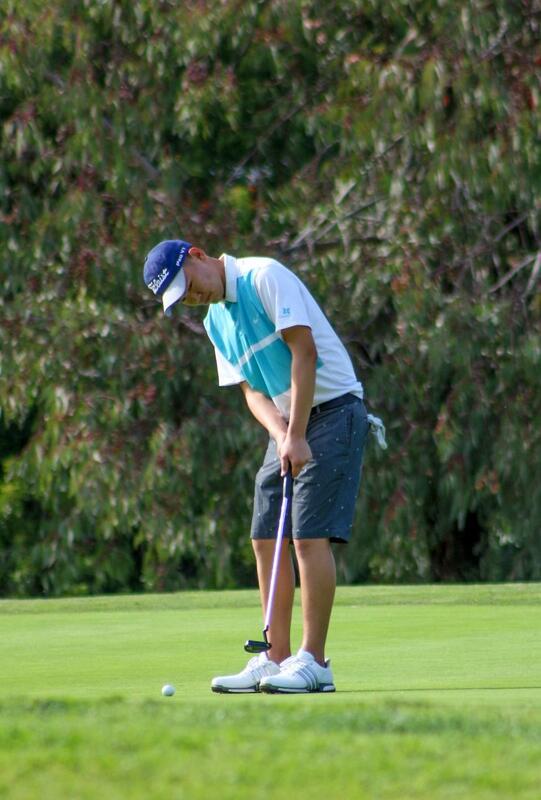 Junior Leo Lu shot a 81 in the Glendora tournament, DB placed first. After its first week of preseason, the DBHS boys golf team has set the tone for a successful year and performing well in its most recent matches. Mt Baldy League play started the week of March 4 with a tournament in Glendora against 34 teams. and the team has won all four league matches since against Don Lugo, Chaffey and Ontario. The boys played well at the Ontario Christian tournament on March 7, winning the match with a team score of 9 over par against 24 other teams. Head coach Tony McCabe said that the team earned one of the best scores in four years. Senior captain Sam Cho earned a silver medal in this tournament with a score of 200. “The team chemistry is amazing, this year we have four captains and they each played very well with great scores in both tournaments,” McCabe said. In the team’s first competition on Feb. 29, the team placed fifth in the Ayala tournament after shooting a team score of 391. They fell behind some of best golf teams in the state, such as Palm Desert and Mater Dei. McCabe expects to win another league title and has set a goal for this year’s team to win CIF. League play continues this week as the boys JV and Varsity are set to play a match against Chino on Tuesday and Friday.